Thank you for supporting our work. You can make regular donations by standing order. Please download the mandate below. 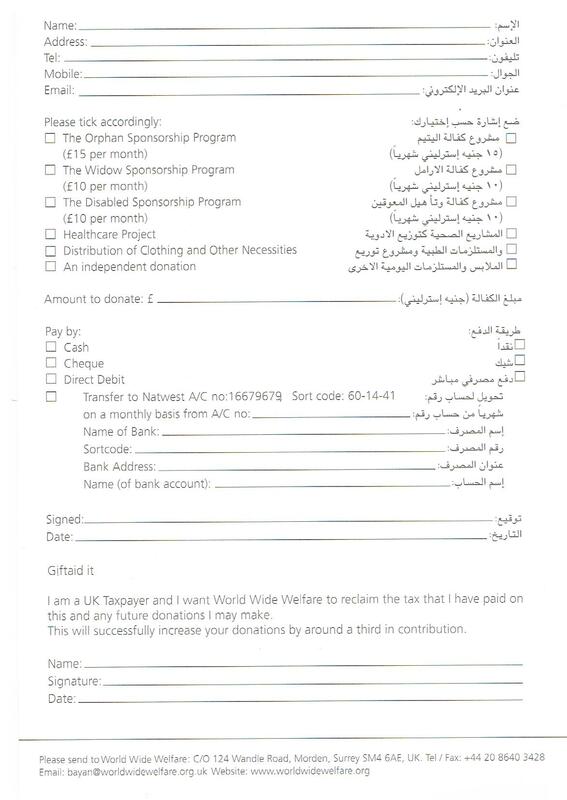 If you are a UK taxpayer, please complete a gift aid declaration form, by downloading the form below. This will enable us to claim an extra 25% of your donation from the HM Revenue and Customs, which will greatly boost your donation. Gift Aid Declaration Form, pdf format. This is the UK’s largest payroll giving scheme, which is adminstered by the Charaties Aid Foundation. Any employee, or pensioner, paid under the PAYE (Pay As You Earn) system can donate to a charitable organisation in the United Kingdom. Please click here to proceed to our secure server, to donate online. Please remember that your donations save lives. 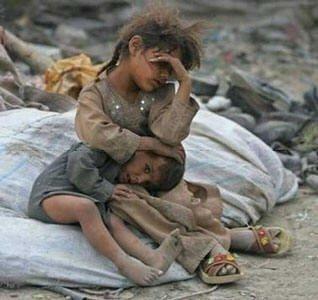 Please open your heart and donate generously to help the forgotten orphans in Iraq and other countries.